As the people of Kochi celebrate the new metro, airports, gigantic flats and malls, right in the heart of the city lies an island, which has been completely circumvented in the pursuit of development. A little island in the backwaters of Kochi with 63 families which depend on fishing for their livelihood, Thanthonni Thuruthu is just one 1.5 km away from marine drive. However, its reputation for the isolation of people with leprosy appears to have continued into the modern day with even basic amenities nowhere in sight. The isolation hits hardest in times of emergencies with no hospital or connectivity to the mainland. People of the village recall that it was during Karunakaran’s tenure as chief minister that the first promise for a bridge was made to them in 1992. It has still not materialised; people continue to use their vanjis – traditional wooden boats to get to the city. “We know that we will die here without receiving medical attention on time. How we can go to the city in the vanji during emergencies?” says Devaki, a 65-year-old resident. “We asked them to give us a hanging bridge at least but they didn’t do even that. All they gave us were false election promises,” she adds. The boat service that exists is irregular and families have to make their own arrangements to send their children to school on time. Things took a turn for the worse when the state the Goshree Islands Development Authority (GIDA) proposed a new project to check water flow onto the island from the lake during the monsoons. They found to their dismay, that the proposed project would benefit everybody but the islanders. Usha K, a leader of the Thuruthu residents’ association alleges that the project was conceptualised to help the realtors. “They told us island would not be flooded after they complete the project. It destroyed some of our cheena valas (Chinese fishing nets) and the prawn cultivation. The project was a curse, not a blessing,” she said. GIDA’s solution to the problem of the island’s flooding during the monsoons and sometimes high tide was to dredge up the slushy soil from the bottom of the waterways and dump it all over the island. Another member of the association Muraleedharan N alleged that this move was a ploy to facilitate real estate developers who wished launch tourism projects. “GIDA claimed it would clean up the lake and use soil to obstruct the water during the flooding. We believed that and but later realized it was a trap,” Muraleedharan said, alleging that it was done to allow for bigger boats of tourism firms to the reach the island. Islanders say that tourism promoters have bought several acres of land on the island. Last July, the slushy mud dredged up from the lake bed was dumped all over the island, including houses which had a courtyards topped with concrete. “They filled mud instead of soil and cheated us. They cleaned the lake and all waste was dumped here,” Usha said. It is impossible to walk steadily in large parts of the southern side of island, where most of the houses are. The slush has even trickled into septic tanks making it impossible to use toilets in the rain. “Imagine us women and these young girls going out into the open to relieve ourselves. 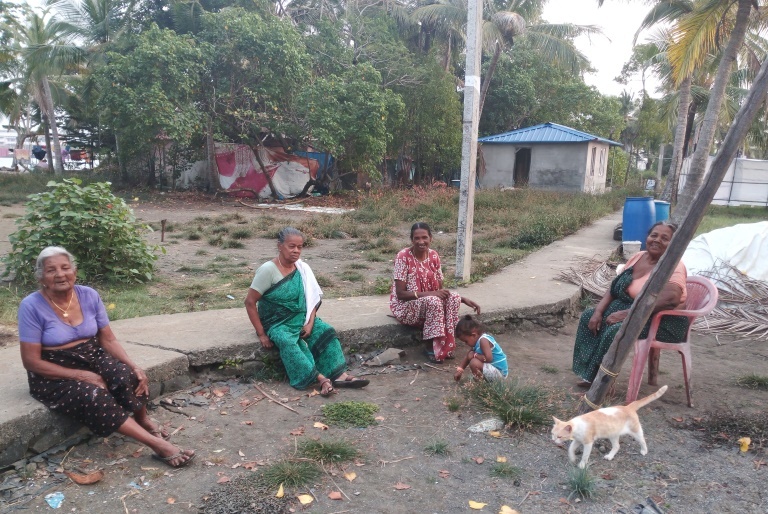 We used to wake up at 4 am to defecate so that nobody would see us,” says Jayanthi another resident of the island. 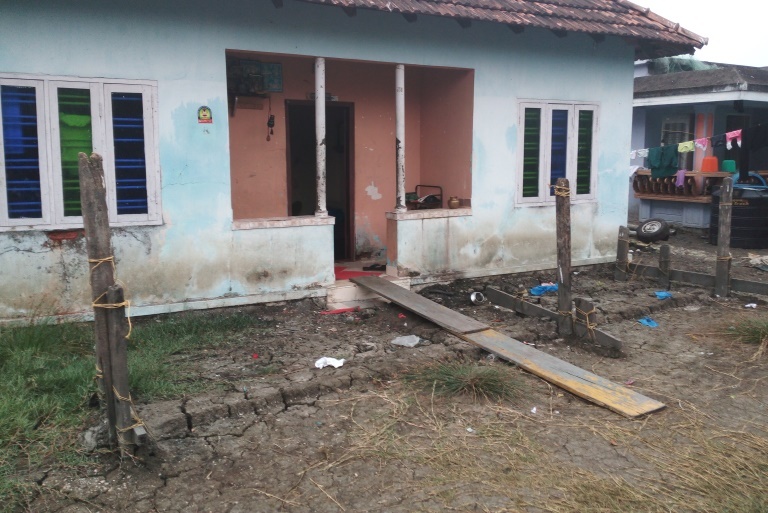 Although the district collector had assured that the slushy mud would be removed from islanders’ houses, six months have already passed. Another casualty of the GIDA’s hasty flood control measures is possible irreparable damage to the mangroves that line the northern side of the island. Following massive protests and the intervention of the Kerala High Court, GIDA had to halt its landfilling. To add insult to injury, their long-standing demands for even a primary health centre (PHC) has not been met. “Why should authorities be bothered? Only 63 families live here. We are all daily wage workers so our votes are not going to make big difference,” an angry Murukeshan said.